It is no secret why residential real estate agents everywhere are using drone footage to highlight properties in their listings. 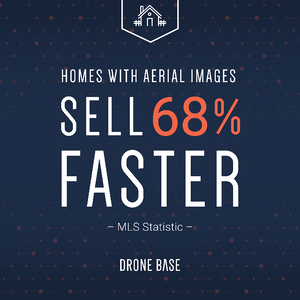 According to MLS statistics, homes listed with aerial imagery sell 68% faster and 73% of homeowners agree that they would be more likely to list their home with an agent who uses both aerial imagery and video tours to market homes. Both of those statistics are pretty convincing, and yet still only 9% of agents are taking advantage of the opportunities UAVs present to improve the marketing on their listings. Perhaps the reason for this is a lack of comfort with the notion of self-piloting on the part of the agent, but also the opaque and difficult to navigate world of contract drone photography. As drones become more accessible and consumer-friendly, and with the FAA making it less difficult to obtain a commercial drone pilot license, it will be harder than ever to distinguish the pros from the average joes. Agents can outsource the stress of vetting the photographers they hire through a strategic partnership with professional drone service provider, DroneBase. With expertise foundational to everything it does, DroneBase is uniquely poised to ensure quality, but not at the expense of speed or affordability. DroneBase is a company comprised of drone enthusiasts and tech junkies, first and foremost. This means the people behind the scenes know the technology as well as the pilots themselves, and can talk customers through what is best for their commercial needs. For real estate especially, this means maximizing the quality of footage. DroneBase offers 4K video, paying obsessive attention to the fluidity of footage and editing with the agent’s specifications front of mind. The real estate market moves fast. You need to be able to have footage ready to go as soon as a seller decides to list with you. Every minute a property’s marketability is not highlighted in High-Def for the world to see is a potential sale lost. With DroneBase, a flight can be ordered in just a few clicks, and all the tedious parts of setting drone flight in motion is done on our end. With DroneBase, agents reap the benefits of instant, automated orders and airspace checks, as well as a 48- to 72-hour turnaround from order to flight, all made possible by a network of over fifty thousand Part 107 drone pilots. Once a flight has been completed, we’ll deliver your footage just as quickly, typically within two business days, through a convenient customer platform. With all it has to offer to real estate agents, DroneBase must charge an arm and a leg, right? The truth is, we’ve worked hard to isolate the specific needs of the real estate industry in a way that allows us to offer extremely affordable product packages starting at just $99 per listing. While opting for a package makes certain guarantees, there are no additional costs with DroneBase. 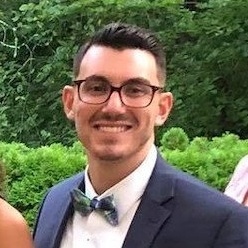 Flights and content packages are tailored to align with any agent’s unique budget or needs. Regardless of the expense though, DroneBase is committed to providing ROI-positive drone flight in any circumstance. Our pilots have flown in all 50 states here at home and in 70 different countries worldwide. What we are most proud of though, is that throughout all those missions DroneBase has maintained a mere .5% re-flight rate and a 9 out of 10 star rating amongst nearly 1,000 reviews. Order today and see for yourself.